From Lisa and Alex Lapella | Etsy.Mud.Team. 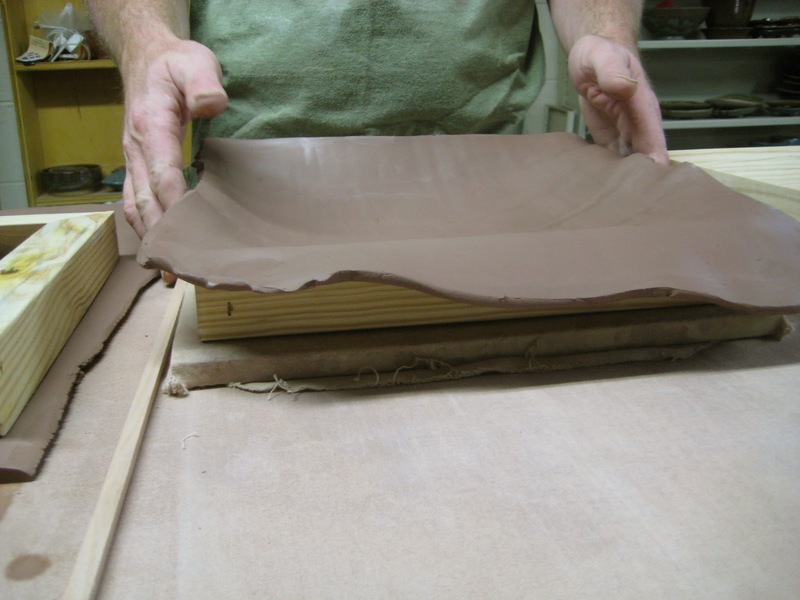 Last month, we saw this article in Ceramic Arts Daily about making pottery using dropped slabs. 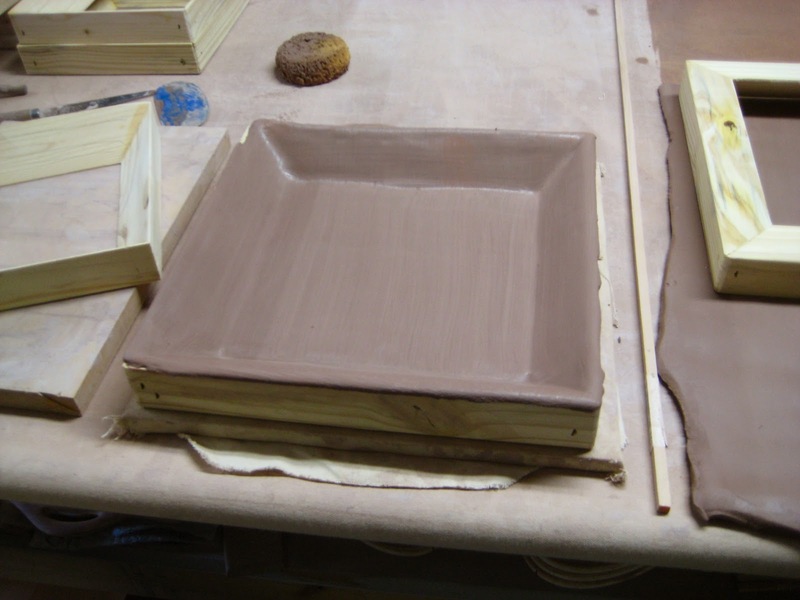 We had done this sort of thing on a smaller scale (with shorter drops), but we wanted to try it as an alternative to pressing slabs into slump molds. 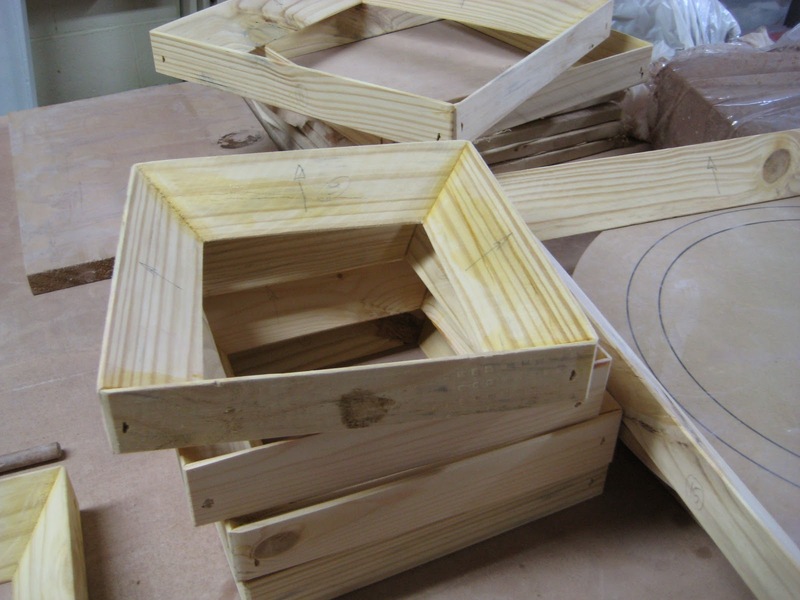 First, we created a variety of wooden frames. 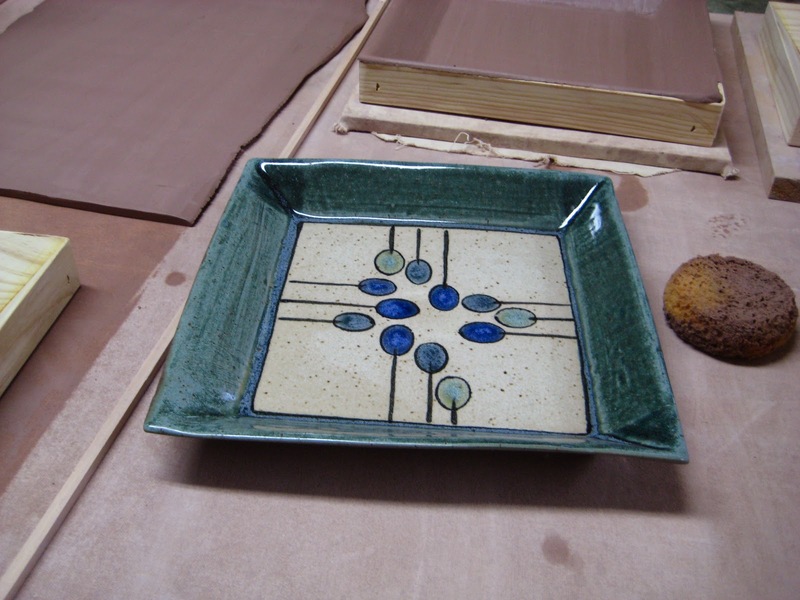 This set creates a large platter, a dinner plate, and a salad plate. 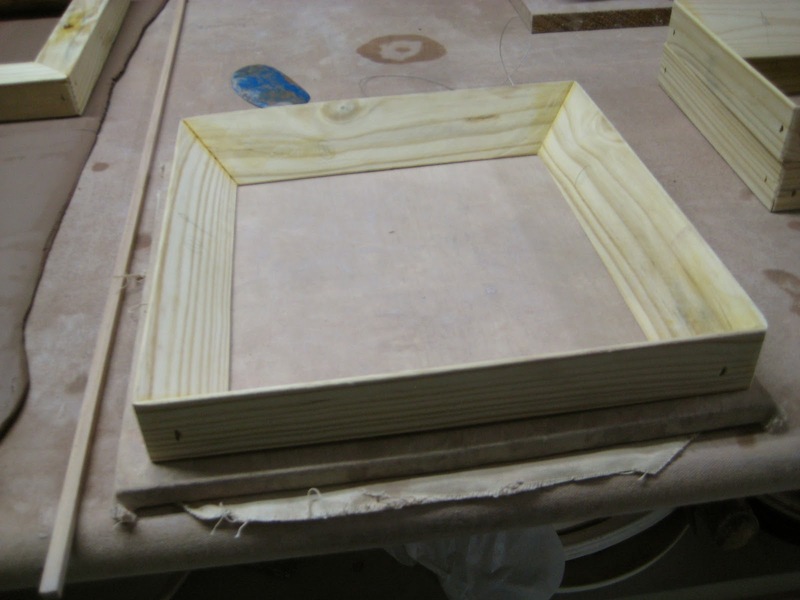 We placed a frame on a ware board. Ours are smooth plywood covered in a fine canvas that would normally be used for stretching your own painting canvases. We lay the slab into the frame, gently lifting the edges so it begins to slump into the frame. 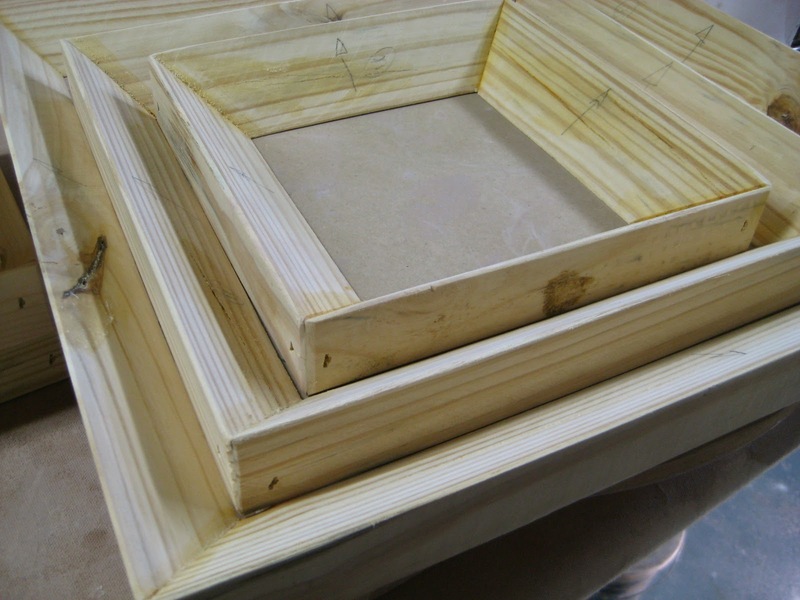 We hold the board with frame and slab about chest height, take a big breath….. 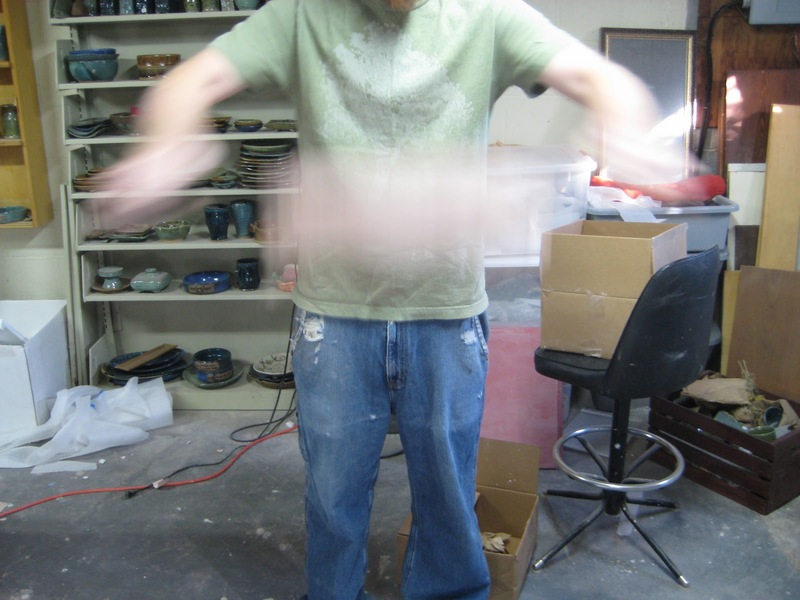 When it lands, the clay slumps into the frame. 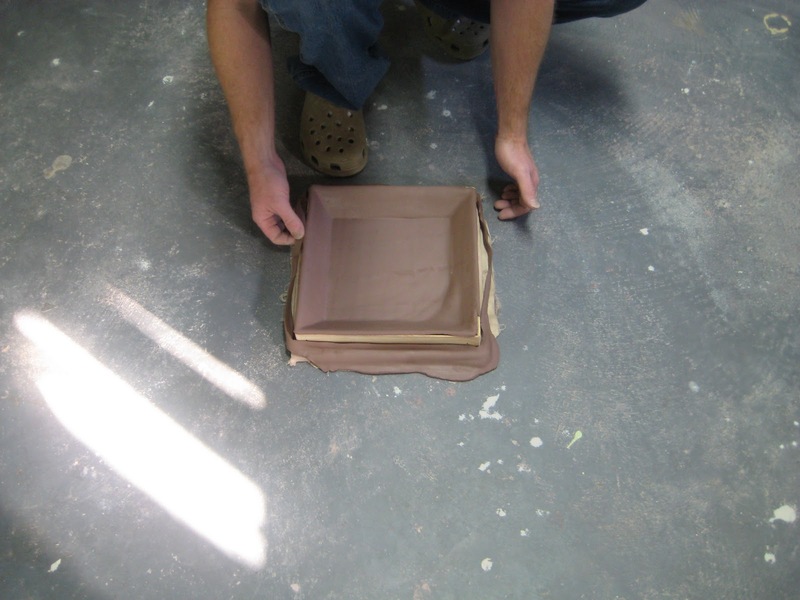 If a section doesn’t quite slump, we’ll lightly sponge it to press it into the frame or we will drop the slab again. Dropping again can warp the sides a bit because the slump farther. It is really cool that the edges usually trim themselves in the process! This one was wiped with a sponge to get it completely in contact with the frame. This is a finished plate! This method is loads of fun and we laugh a lot while we make these! 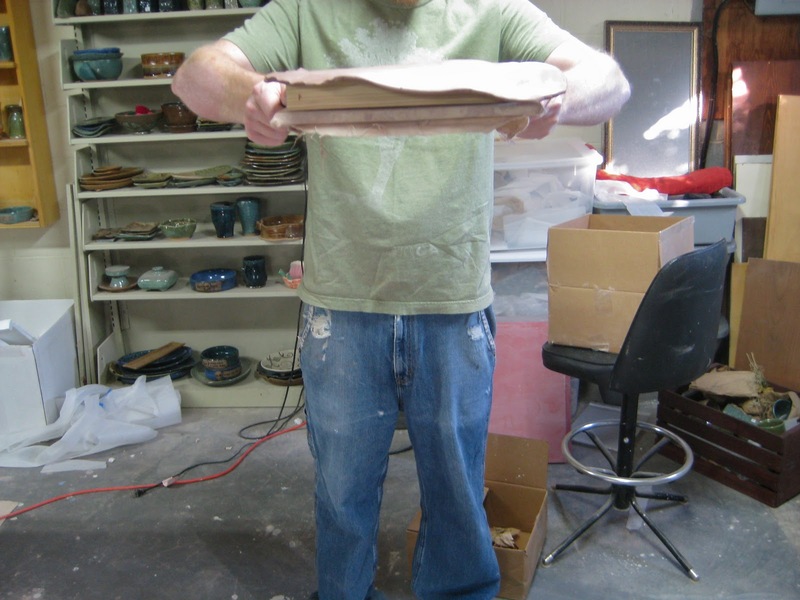 The plates are firing very flat and stacking very nicely. We are enjoying coming up with fun designs for the glazing. I have been interested in slump forms. When you drop the slab and frame what are chances of the frame breaking. We’ve dropped a large number of plates at this point and haven’t have any frames break yet. i for the life of me can’t figure out where i’d come up with frames similar to these that would work. great idea and i’m hope i can try this sometime in the future.